Things are about to change for the sport in Europe’s newest country as developers plan to rebuild and vastly expand the industry there. The flakes stumbled into the windows, gathered themselves and then wobbled on like revelers caught between pubs. At times it snowed so hard I could hardly see anything out there at all. A wood hut. A concrete wall. When the storm finally broke three days later, some 40 inches of snow had fallen and everything sprang to life. The timing was ideal. A few hours earlier, I had arrived in Pristina, the red-roofed capital of Kosovo, just as the first flakes corkscrewed their way to earth. It was February, frigid, and a worsted wool blanket stretched across the Balkan sky. I threw my skis into the back of a 4Runner with two Serbs I had hired to pick me up, and we rode south in silence toward the Sharr Mountains along the Macedonian border. In an hour we’d be at Brezovica, the most delightfully dysfunctional ski resort in Europe. 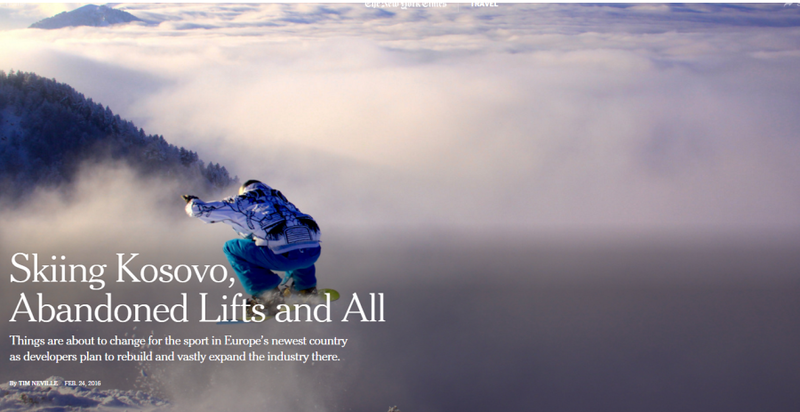 You’ve probably heard of Kosovo but not of skiing in Kosovo. Landlocked between Albania and Serbia, Kosovo was the last of the nations to congeal in the caldron of old Yugoslavia. For years it remained a largely autonomous province tucked in southwestern Serbia, but a full-blown war for independence erupted there in 1998 between Orthodox Serbs and ethnic Albanians, who are Muslims. The fighting grew so ugly with a Serb-sponsored campaign of ethnic cleansing that NATO eventually intervened on the Albanians’ behalf in 1999. Today, to the United States and the 110 other countries that recognize it, Kosovo stands as Europe’s newest country, an eight-year-old diamond of roughly two million friendly, westward-looking people still struggling to get on their feet. But before all of that there was skiing, and Yugoslavia had plenty of it, from Kranjska Gora in the north to Papova Shapka in the south. The sport soared in popularity when the Olympics came to Bosnia in 1984 and a Slovenian, Jure Franko, won silver in the giant slalom to clinch Yugoslavia’s first Winter Olympic medal ever. 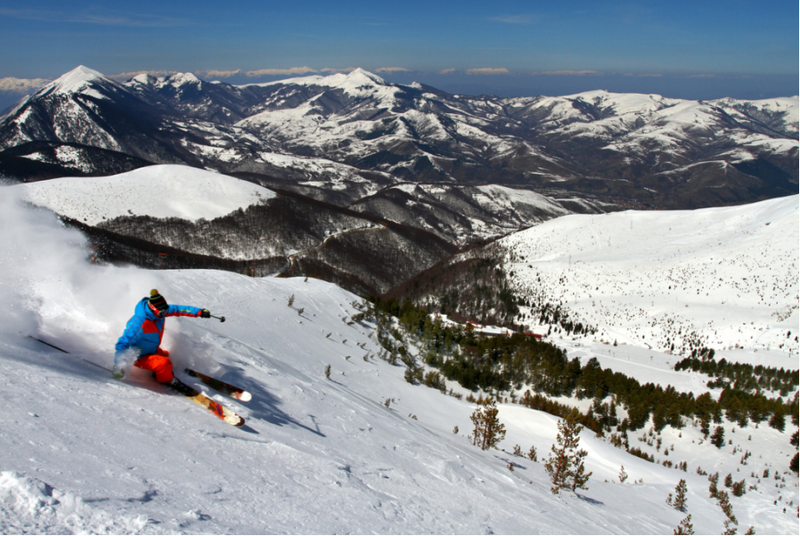 Brezovica, about 250 miles southeast of Sarajevo, served as a backup for those games, but Yugoslavia’s more hard-bitten skiers already knew the place for offering the steepest slopes and deepest powder for the fewest dinars. There near the Serbian enclave of Strpce about 35 miles south of Pristina, storms slam into the 8,000-foot Sharr Mountains that rocket out of the Metohija basin with abrupt ridges and mighty shoulders cupping some of the continent’s most extensive pasturelands. Back in the ’80s, the resort’s hey-decade, 10 lifts, including five surface tows, serviced nine named runs, though the real magic happened in the go-anywhere terrain of the open north-facing bowls. D.J.s from Belgrade and Skopje kept the parties going until dawn. 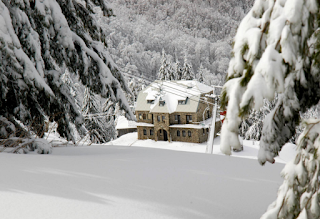 In the morning you might awake to find so much snow had fallen that even the wild chamois were stuck. Brezovica survived the wars but not the peace that followed. Throughout the early 2000s, INEX, the Serbian socially owned enterprise that managed the resort, stopped investing in Brezovica and everything began to crumble. One of the main hotels, a graceless rectangular prism, became a drafty concrete husk. The disco floor went cold. One by one the lifts failed, and by 2013 none of them worked. The storied resort was all but dead.